Will smartphone display sizes see a smaller trend in the future? One thing that we love about our smartphones would be their generous display size. It makes viewing movies on the move a whole lot more enjoyable, while a larger sized viewing area enables a higher degree of productivity. It is also nice to have a solid feeling in our hands when interacting with our daily communications tool. With smartphone designs taking on a bezel-less approach such as the Samsung Galaxy S8 and Galaxy S8 Plus, we can expect to get more “screen” with a smaller form factor in future iterations. This bodes well for the industry overall, as consumers would love to carry such a stylish, iconic device that resembles a portable, flat screen TV in their pockets and hands. Battery technology is also most likely to continue improving, catering for larger display sizes that are capable of packing in more pixels while stretching battery life claims in the process. This is always a good thing, but unless there is a quantum leap in the realm of battery technology, we also expect battery life and performance to plateau eventually. In other words, never leave home without your power bank! Anything larger than 6-inches is always going to be a challenge to carry around, as we take its weight and overall size into consideration. A larger portion of the market that comprises of consumers in emerging markets tend to reside in Asia, where hands there are physically smaller than their Western counterparts. This makes it uncomfortable for those with smaller hands to wrap their fingers around a 6-inch plus behemoth, and it is also pushing the envelope where larger sized hands are concerned. We will not discount the fact that there will be smartphones with display sizes under the 5-inch mark released as well, since there is always the budget segment to consider. However, these devices will most probably not be able to gain too much traction among consumers, as there is a pressure to keep up with the flagship models without breaking the bank. This means following features as close as possible, and the display size is one of the easiest to do as opposed to cramming in a similar processor. We strongly believe that smartphone display sizes will not shrink in the future, unlike the dumbphone era where we saw a decrease in size and form factor thanks to the power and technology of miniaturization, only to get larger and larger over time again before the smartphone burst onto the scene. 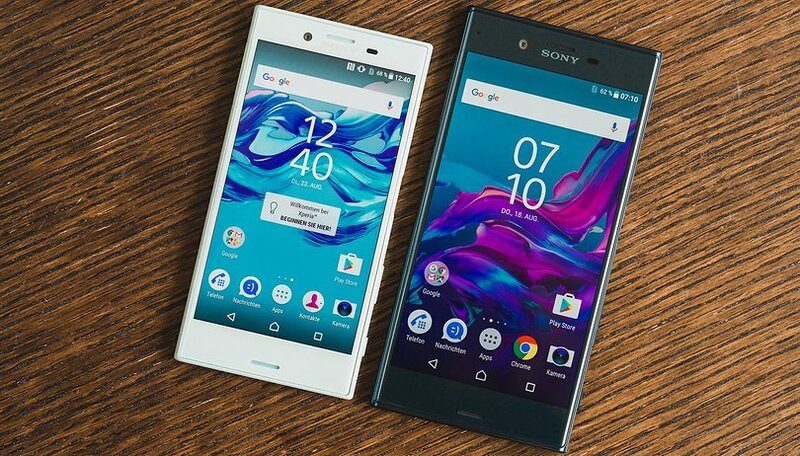 Imagine returning to a 4-inch display size for the next flagship smartphone from any of the major players. It simply isn’t going to happen. Large display sizes are here to stay, and they are not going to go away. Expect 5-inch displays to be the minimum, and anything between that and 6-inches is always more than welcome. I hate smaller phones, I love my 5.5" phone. My use is divided between a 5" phone and 7" tablet, the former for calls/sms and leaving the house with music and camera, but the latter being the go-to armchair, backyard or bedroom ereader, web browser, and video device while the phone sits shelved. I don't want to carry or pocket (or pay for) anything bigger than the current phone, and while the same apps are installed, simply don't do much of the tablet stuff on it. Oddly, a couple of weeks ago I experimented using the tablet in the car for vacation offline gps/nav and found its performance just as good with a much larger and more readable display - a real bonus use for something the phone has always done. My thoughts would change if I was doing more with the phone than at present. I've used 3 devices, small 4.7" medium 5.2" and 6" phablet. I don't own or use a PC so if had to choose one size it would be a 6" plus phablet. it's all down to your own acceptable compromises..
soon smartphone design will plateau and like TV's will be all screen.. then size and power will be the only real difference. There's a limit to how big before size changes what people will call a phone, a phone. I think the new small is 5.2 inches , and the new big is 6.3. Anything past 6.3 can't really be called a phone, even phablet.